Lovely, period apartment of several charming rooms. Very well appointed and supplied. Hosts pleasant and helpful. Perfect location between Dunedin city and Otago peninsula wildlife sites and beaches. Roomy, clean, with every detail well thought out and private. Loved the hosts, the location, the views, the accommodation. There was nothing not to love. Spacious with your own bedroom with a great view and your own sitting room and separate incredibly well-stocked breakfast room with fabulous views and morning sun. I feel there is often grade inflation on reviews and that 5 star (or here 10 star) reviews are really often 3 or 4 (or in this case 8 or 9). That is absolutely not the case here. This was a true 5 (10) star lodging and experience. The location is perfect of you want to be on the Otego Peninsula. 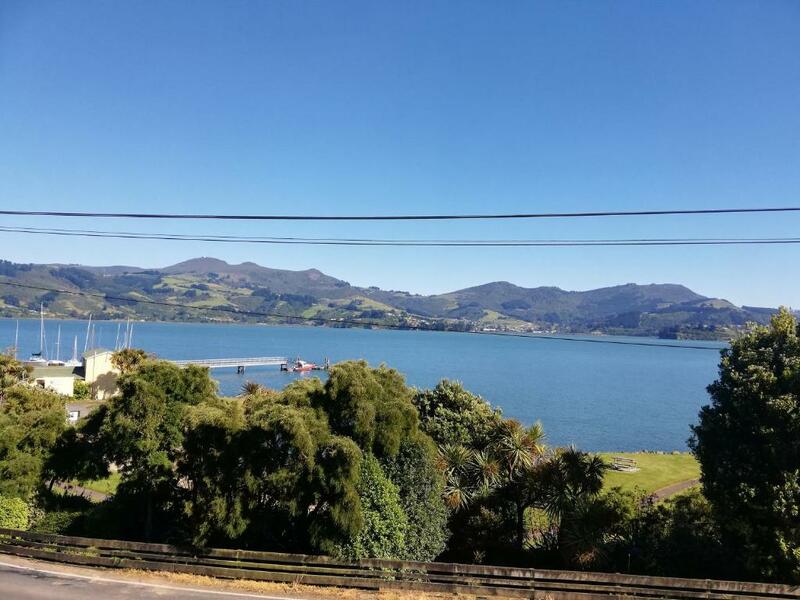 Close to incredible hikes, beaches, great restaurants and Dunedin. We loved our hosts and Rosemary Retreat, and if we ever visit the area again (and we hope to!) this would be the only place we'd want to stay. The location and view were stunning, the extras that Susan and Herman provided were unexpected and appreciated, the unit was furnished like home, not like a motel, the bed was comfortable. This was the best accommodation we had on our trip. Superb, characterful accomodation with wonderful views and hosts. Thoroughly reccomend. Susan & Herman had thought of everything. Breakfast was brilliant. A feeling of a home away from home, a cute cottage feel in a quiet little village. Location, harbour views, closeness to rugby stadium. Friendly welcoming hosts. Lovely home reminiscent of another era. Canterbury room is great. Lock in a great price for Chy-an-Dowr – rated 9.9 by recent guests! Located opposite a small beach on Otago Harbor, Chy-an-Dowr offers self-contained accommodations at Chy-an-Dowr. It is 20 minutes' drive from the Royal Albatross Center and Penguin Colonies. Chy-an-Dowr is 20 minutes from Taieri Gorge Railway and Dunedin City. It is 25 minutes' drive from Forsyth Barr Stadium. The apartment offers a dining setting and a lounge area with a TV and free WiFi. It includes a private bathroom. The Apartment with Sea View features views overlooking the harbor and is located upstairs. This property also has one of the top-rated locations in Broad Bay! Guests are happier about it compared to other properties in the area. This property is also rated for the best value in Broad Bay! Guests are getting more for their money when compared to other properties in this city. When would you like to stay at Chy-an-Dowr? This B&B apartment is upstairs in the house at Chy-an-Dowr and has harbor views, two bedrooms, two bathrooms, a sitting room and a sun room. Chy-an-Dowr is a character house and was originally built as a general store in 1915. Our apartment with sea view is a self contained guest apartment upstairs at Chy-an-Dowr and has panoramic views across the harbour. This guest suite covers the entire top floor and has two bedrooms, one ensuite bathroom with a shower and one separate bathroom with a bath and shower, a sitting room and a sunroom. There is no kitchen, but there is a microwave, toaster, kettle and a coffee maker in the sitting room. The rooms are serviced daily. The staircase to upstairs is quite steep, so not suitable for guests with mobility problems. If requested breakfast is provided in the apartment to enjoy at your convenience. Welcome to Chy-an-Dowr. 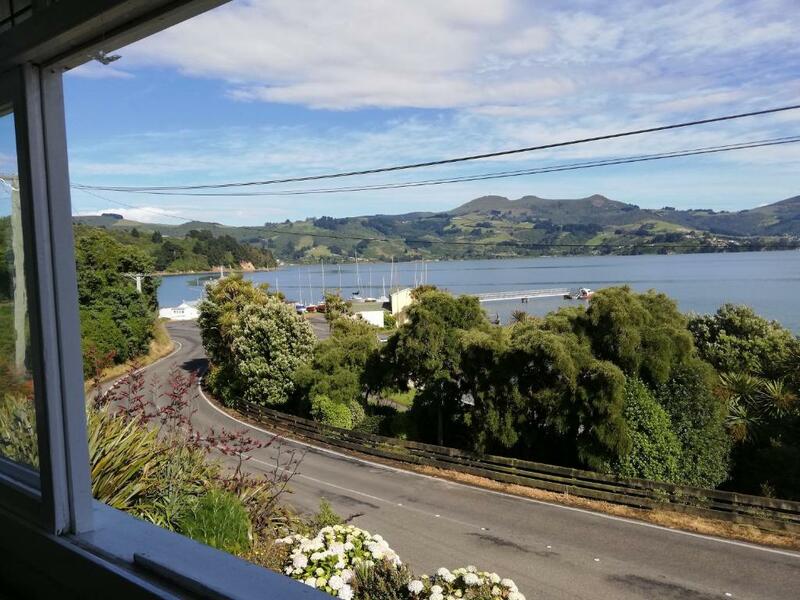 In 1981 we emigrated from the Netherlands to Dunedin and in 1993 we started our B&B Chy-an-Dowr on the beautiful Otago Peninsula. We enjoy welcoming guests from all over the world to our lovely location. The Otago Peninsula is well known for the Royal Albatross Colony, Yellow-eyed Penguins, Little Blue Penguins, seals and sea lions. There are many walkways, secluded beaches and wonderful views. Larnach Castle and Glenfalloch Gardens are nearby. House Rules Chy-an-Dowr takes special requests – add in the next step! Chy-an-Dowr accepts these cards and reserves the right to temporarily hold an amount prior to arrival. Please inform Chy-an-Dowr of your expected arrival time in advance. You can use the Special Requests box when booking, or contact the property directly using the contact details in your confirmation. Absolutely everything, Susan and Herman are so nice and sweet and the appartment is gorgeous, big, super comfti bed, more than well equipped. In 3 weeks vacation in nz the best accommodation and by far the best breakfast! Thanks so much Susan and Herman and i wish you all the best from the very bottom of my heart! Dedicated dishwashing facilities would be nice, rather than using the bathroom basin. (but this is a VERY minor gripe). Not a thing. I suppose if you're skittish about driving a winding highway with no guardrail, a tiny shoulder and a drop to the bay... this will make you pay attention when driving out onto the peninsula. It did me on the first couple of days. But this is the major (and only) thoroughfare to get out onto the peninsula and people commute on it every day. Just drive the speed you're comfortable with and let others pass when the pull-overs appear. Easy peasy. And the house directly overlooks the thoroughfare. I thought it would bother us -- but once inside it didn't for even an instant. The rooms were quiet and the wonderful views were just of the bay. All expectations met and exceeded. From the chocolates to the fruit, the extra milk, fruit juice, eggs, heating, breakfast supplies, sitting room, sun porch in the morning sun, and the delightful hosts. Nothing could have made our stay better, apart from us staying a few more days perhaps! So much care and attention to detail by Susan and Herman. A truly wonderful stay with the most welcoming of hosts. This property has everything you could possibly need for any length of stay and the breakfast was superb! We loved the seclusion of the garden and the proximity to a stunning wee beach.